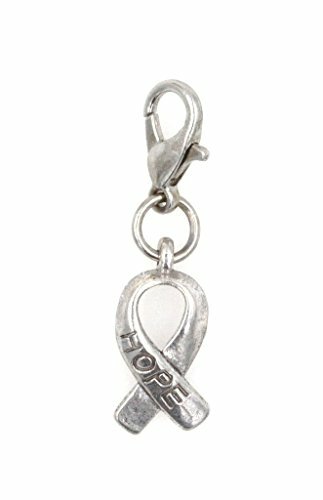 Beautiful silver tone metal with enamel ribbon for awareness. Cute heart cut out of ribbon. 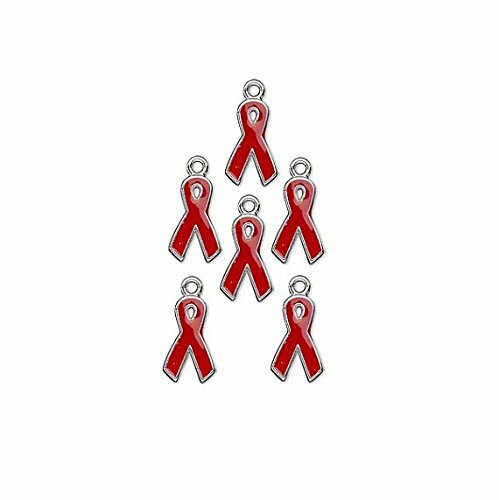 These are perfect for all your awareness jewelry awareness creations. 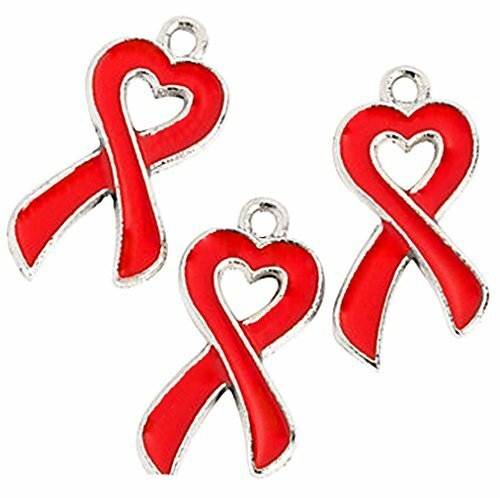 The heart charm is 20mm or 3/4 inch. Sturdy metal charms. In lots of 12. 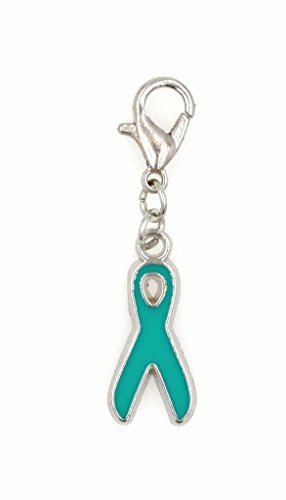 Sterling Silver and Enamel Charm. 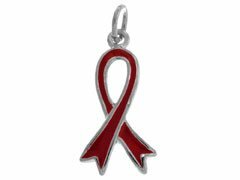 Red symbolizes AIDS/HIV, DUI awareness, MADD/DARE, substance abuse, epidermolysis bullosa, Pro-Life, love, heart disease, Wolff-Parkinson-White syndrome, Reflex Sympathetic Dystrophy (RSD)/ Comples, and Regional Pain Syndrome (CRPS). 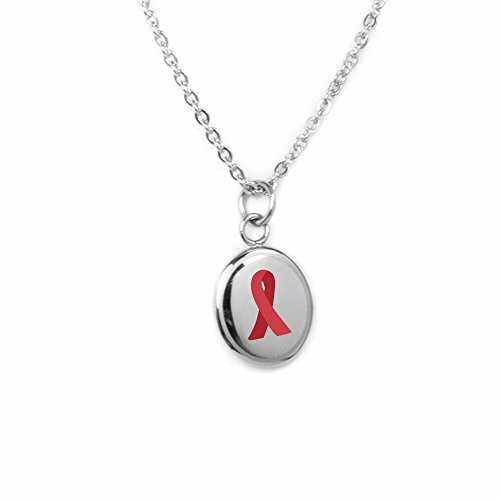 Package contains 1 dangling alloy European Bead charm. 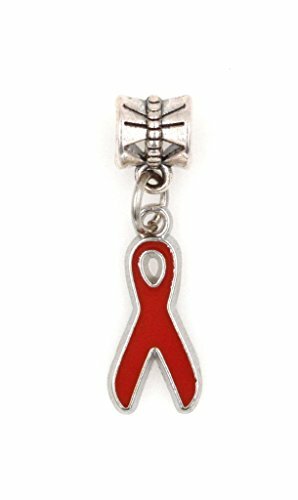 Each European Bead charm is assembled using a bead with a 4.5mm hole. 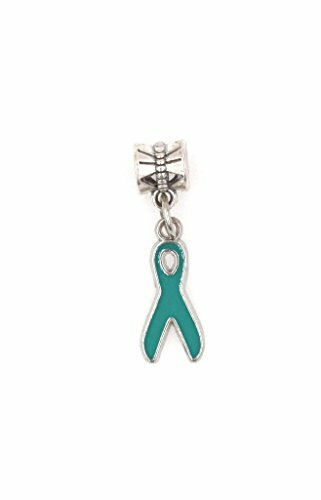 Should you have questions or concerns about your new European Bead charm, It's All About You Jewelry is always available to help you. Quality customer service and superior products are our top two priorities. We hope you love your new European Bead charm as much as we do! 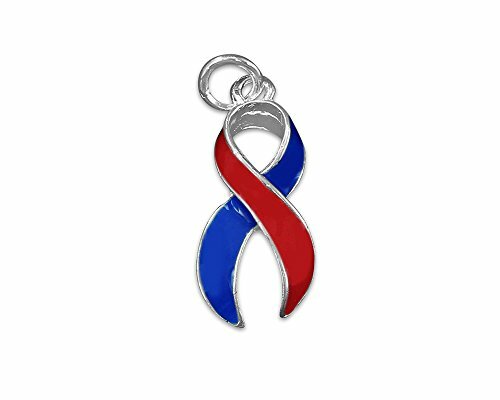 This red and blue ribbon awareness charm is approximately 3/4 inch tall and are sterling silver plated. You get one brand new charm in a bag.